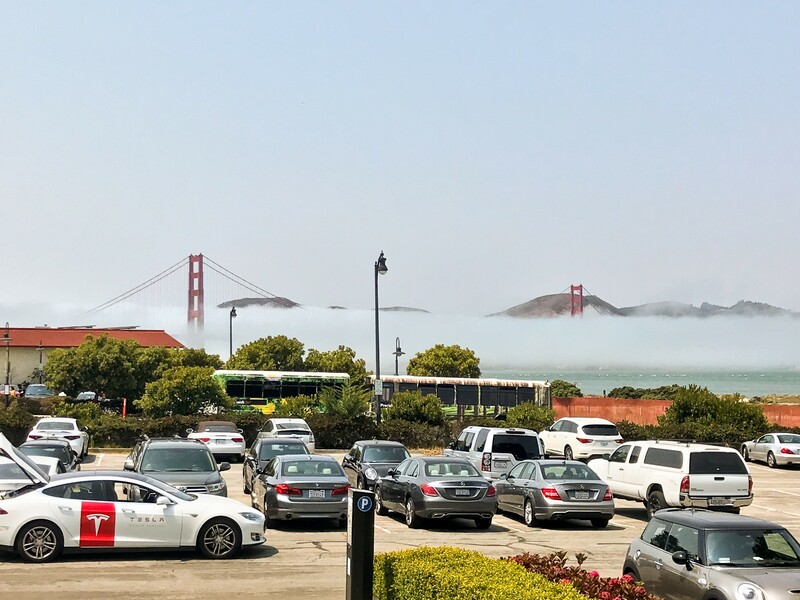 The Golden Gate Bridge, coming out of the fog. And a Tesla service car. My first year in America in one picture. I’m not out of place. I’m an immigrant and I look different. But so does everyone else. The immigration process was not horrible even during the current political climate. I was able to file all the paperwork myself, without paying any lawyers to do so, and everything went smoothly and as expected. The process times were reasonable and the service excellent. Seriously, I could track my case online like I would an Amazon package being delivered. I was told there would be seasons. All this talk about how the farther north you went you would find this thing called Summer and this other thing called Winter. Then I moved to San Francisco, and the weather changes less than it does in Guatemala. Speaking of weather. A lot of people assumes Guatemala is hot. Is it because it’s south of here? Is it because it’s the third world? I’m not sure, but like any other country, Guatemala does have places that are warmer, but most of the country is mountainous. Like where I lived, which was at 2 miles in elevation. Appliances, computers, and anything material, really, is ridiculously cheap. It’s so easy to gain weight in this country. I have nobody to blame but myself, but it feels like everything edible is filled with sugar, carbs and unnecessary fat. Also, what’s up with people stocking up on “snacks”? Our pantry growing up was boring with the essentials like rice, flour, sugar, pasta, beans and spices. It never had snacks and the times I found a bag of chips on my lunchbox were rare and it meant my mom was rewarding me for some reason. And no, we were not poor. Vegetables and fruits are expensive, specially organic. Back home I never had to wonder if what I was eating was organic, I guess I knew it was. And it was cheap. Also available year round. I could get five avocados for USD $.25. Those were the days. Sending letters is one of those little pleasures I never knew my life was missing. A postal service that works is incredible and makes a country move forward. On the matter of the mail: Same Day Delivery. Never in my wildest dreams did I imagine a place where that was a possibility. Two words: National Parks. I never knew how many there actually were and how I could find them almost everywhere. This country has natural beauty and it’s great to be able to explore it so easily. And because I love nature and being outdoors: REI. This country has REI and I am forever grateful. What an amazing place where I can easily picture myself in the great outdoors and then get the stuff to make it extra wonderful. As long as I actually go out and use that stuff. Which I have. See number 11.